With these Matte Black Brown AIR frames, you can also become the trendsetter of your circle, whom everyone wants to follow. Break the conventional nerd rules and embrace the stylish side of yours with these Italian design glasses. Its TR90 formation and colour makes it a perfect casual wear as well as a formal wear. Full rim rectangulars are ideal for individuals with round, oval and a heart shaped face, as the crisp lines of rectangulars add angles to their fuller face. Justin Timberlake and Josh Hopkins wore rectangular style glasses to look sober and sophisticated during public appearances. Get these celeb adorned glasses and ooze the similar charm wherever you go. A smart pick from Vincent Chase AIR Collection, this frame is constructed with TR90 frame material, which makes them lightweight and flexible apart from being durable and sturdy. This collection brings you trendy Italian design frames in wide gamut of colours, shapes and sizes. 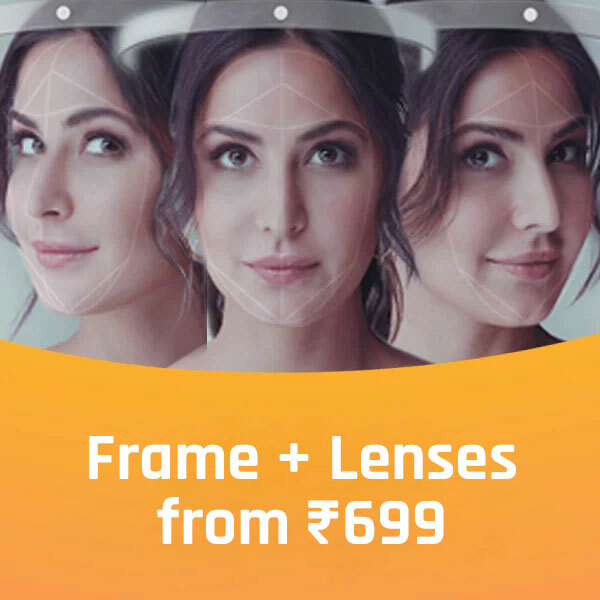 Get your eyeglasses now to get the most relaxed eyewear experience.